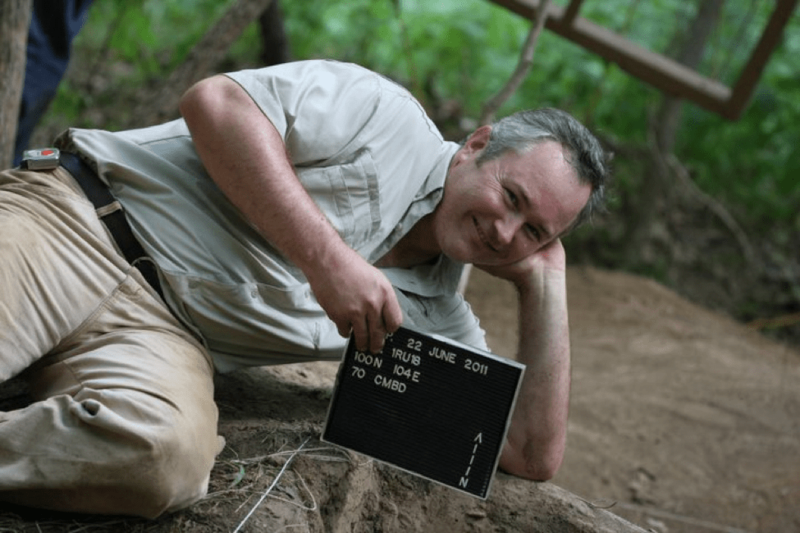 The University of West Georgia has waved goodbye to a beloved professor after he lead his final archaeological dig with his students. Dr. Thomas Foster was a professor in the Anthropology Department and the director of the Antonio J. Waring, Jr. Archaeology Laboratory on campus. At the lab, Foster was responsible for ensuring that the lab was legally compliant, as well as managed grants and contracts. “We manage more grants and contracts than any other department on campus,” Foster said. He was also responsible for public outreach, research and teaching at the lab. Foster has published two books, 25 peer-reviewed articles and presented almost 50 conference papers. Foster’s research focuses on the Southeastern Indians, colonial period archaeology and ecology. This summer, Foster worked on an archaeological site in Holy Trinity, Ala. with volunteers, primarily UWG students and alumni. This summer, however, Foster allowed students to have a different experience with his site. Instead of paying tuition and special fees to learn archaeological methods, Foster let students volunteer at the site. Students were able to gain the experience they need in the field of archaeology without the normal constraints of taking the archaeological field methods class through the university. Foster also said that he and his students found a lot more this year because they had a “better idea of where household remains are” due to research conducted during past field researches. However, Foster isn’t the only one who feels this way. Foster’s students, current and past, feel the same bond with each other and with Foster himself. Meggie Dunivent Miller, UWG alumnus, describes her relationship with Foster as a special breed. Miller graduated from UWG in 2009 but has volunteered at last summer’s field school and this past summer’s dig. She says that Foster is constantly inspiring her to further her education and work in anthropology. Foster has left UWG this fall to pursue a job opportunity at the University of Tulsa in Oklahoma. He plans to start a doctoral program at UT and expand his research in applied ecology. Several students are so dedicated to Foster that they have even decided to apply to UT for their Master’s and Doctorate degrees solely on the basis of continuing their work with him. Many students are still keeping in touch with Foster through email and phone conversation. It is clearly an understatement to say that Foster will be missed by the students and alumni of UWG. Foster’s future plans include finishing his book about Apalachicola and writing a memoir on the experiences he has had working with his students over the years. It’s sad that Dr. Foster is leaving, but it’s great he’s getting an opportunity in Tulsa. Also, I am a former editor-in-chief (2006), and think this is the best first issue of the year I’ve seen to date. Keep up the good work, everyone. Thank you, Bobby! We have a bunch of great writers and editors this year, not to mention our new editor-in-chief! I agree that it is sad that Dr. Foster has gone off to another school, but starting a doctorate program is a HUGE deal. I have been on two archaeological digs with him and worked for him at the archaeology lab on campus. He is a wonderful man and he will truly be missed.